With a velcro wristband for easy carrying. Golf stroke counter score keeper. For golf stroke / score counting. 1 Golf Stroke Counter. User-friendly by pressing the counter button. We DONT ACCEPT negative or neutral feeback. 1X putter cover. material: Synthetic pu leather,looks very clean. Every headcover has a number on top to match with the golf irons(4,5,6,7,8,9,PW,AW,SW,LW). 10PCS Iron Headcovers. Note: Only Apply to Right Hand Golf Club, Not Apply to left Hand's. Machine Washable, Best Design to use! ③ 000.0 refers to the height of the target, with "MODE" and "ADJUST / ON" to set the height of the object. The general mode can be used in other situations, it can calculate the distance between you and the target you desired. 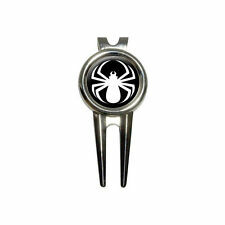 Creative Various Styles Stainless Steel Golf Hat Clip with Magnetic Ball Marker. These work as advertised. I just don’t need info they provide. Easy slip on and off, protect your head of club not to be scratched. We are very glad to solve any issues. Machine Washable,Best Design to use! Smoothly fit and properly protect your clubs. Rate (item arrived). 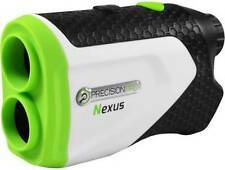 Pefect for Golf: This rangefinder is born to play golfing with adapted functions: Fast Pin Seeker, Most Acccuraccy Ranging and Anti-Fog mode (Fog mode). Besides golf, it provides speed mode for hunting. 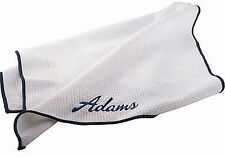 Every headcover has a number on top to match with the golf irons(4,5,6,7,8,9,PW,AW,SW,LW). 10PCS Iron Headcovers. Note: Only Apply to Right Hand Golf Club, Not Apply to left Hand's. Our covers can perfectly suit King CB, King MB, King F9, King F8, King F7, King F6, King forged, S9, S3, Fly-Z, F-max, AMP Cell, Bio Cell irons. Scotty Cameron Titleist Pinehurst, NC RED Divot Tool. Bought this in Pinehurst, NC and put them up in a drawer, never used. No box, they came in a small zip lock bag. Shipped with USPS First Class Package. Golf ball alignment toolPutter squareness lineEasy draw straight lines on golf ballHelp you make your own mark to identify your golf ballThe marks also help you find a better angle and achieve your goalsEasy way to draw lines to check your alignment for swing or puttingSize(L*D*H): Approx. 7.9x5.2x2cm/ 3.1" x 2.04" x 0.78"Color: BlueMaterial: plasticPackage Included:1 x Golf Ball Line Liner Marker1 x PenNote: Light shooting and different displays may cause the color of the item in the picture a little different from the real thing. The measurement allowed error is /- 1-3cm. Brand Unbranded MPN Does not apply UPC 191466533000 EAN 191466533000 ISBN 191466533000 UPC 191466533000 EAN 191466533000 ISBN 191466533000. Novelty animal shark shaped golf club driver wood headcover protector, designed to universal fit most 460 cc/No.1 drivers. - Headcover Size: Approx. 1 Piece Golf Driver Headcover. 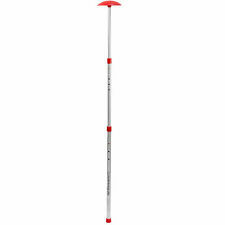 - Features a soft and thick long neck to ensure a proper fit on your golf club. Preloaded with over 38,000 courses worldwide with free updates. Smartphone app: Bluetooth notification & Smartphone finder. Lithium Ion Battery. Automatic course and hole recognition. Hole layout view with current position of the player. Included in the Package :> 14 x Golf Shoe Spikes. Country/Region of Manufacture China Brand 100% New Sub-Type PINS thread soft spike Color Black & Gray MPN Does not apply. Trending at C $25.34eBay determines this price through a machine-learned model of the product's sale prices within the last 90 days. This is NOT a cheap stick on photo, this is superior high quality artwork. Ideal image size in pixels 300 x 300. 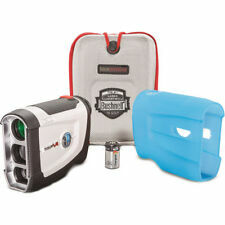 Golf accessories make the game more enjoyable for the seasoned golfer as well as the novice. Accessories like gloves, bags, towels, hats, golf shoes, umbrellas, and visors are just some of the most common items used in men's and ladies' golf. In addition to their convenience, some accessories can also improve your game. What golf accessories do you need? Like any other hobby or sport, golf players may collect accessories without really considering what they need. 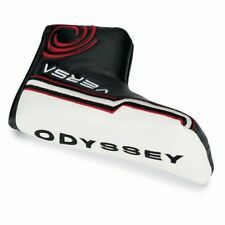 However, there are some more commonly used items that should go in a beginners as well as a seasoned players golf bag. It is important to have items like golf tees and balls. Items like golf shoes and golf gloves protect the hands and feet, while visors protect the eyes and the head. Care items such as a first-aid kit or sunscreen should also be in the golfers tote. On large courses, the player may also use a golf cart in addition to a bag. What is a golf divot tool used for? A divot tool repairs the divot on the green. Divots are the little dents and tiny holes that result when a golfers club hits the ground when they swing or when the balls land a certain way on the green. Having a tool like this allows you to repair the hole. Several types of these accessories exist. Basically, these tools put the grass back into place, thus repairing the green. What is a golf ball marker used for? This accessory is most commonly used on the green. It is a flat, usually disc-shaped object that golfers place on the ground to mark where their ball stopped. The player places the piece behind the ball before they remove the ball from the green. 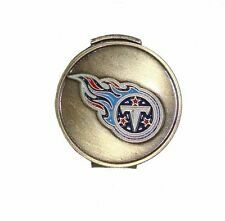 For golfers who do not have a marker in their golf bags, a large coin will do the job. What is the golf towel for? This accessory allows the player to wipe sweat from his or her hands during the game. Golfers also use it to wipe dampness away from a ball that has sat on the wet green. Players sometimes attach these items onto their bags, which keeps them in reach of the golfer's hands. What is the golf stick called? The stick is actually the golf club. Players use more than one golf club during a game, depending on the needs of a shot. Each one has a shaft, which is the stick part, and a head. Some are made from wood and iron. Others are made solely from iron.